Do you ever feel you need a boost while going about your day? Millions of Americans do, too. There’s a reason coffee drinks are getting more popular year after year. Because caffeine helps us stay awake, and the American lifestyle makes more demands on us day after day, we need the boost in order to stay sane. 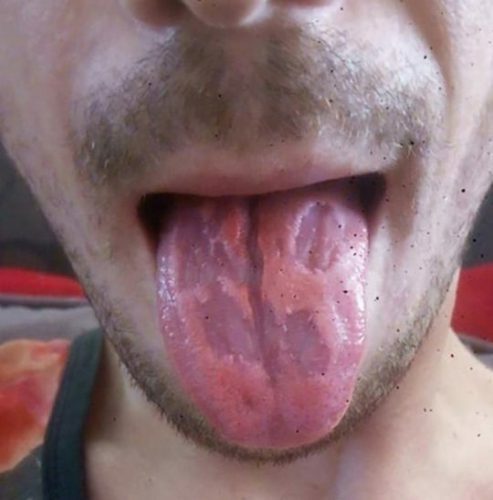 However, Dan Royals realizes that his addiction to energy drinks may have been causing more harm than good – and he’ll let the images of his tongue speak for themselves. Dan Royals admits that he probably needs to go to energy drink anonymous. He loves drinking the beverages and getting the “jolt” of energy from them shortly after chugging them back. He loves them so much that he consumes at least six every day. However, his addition has a bad side. 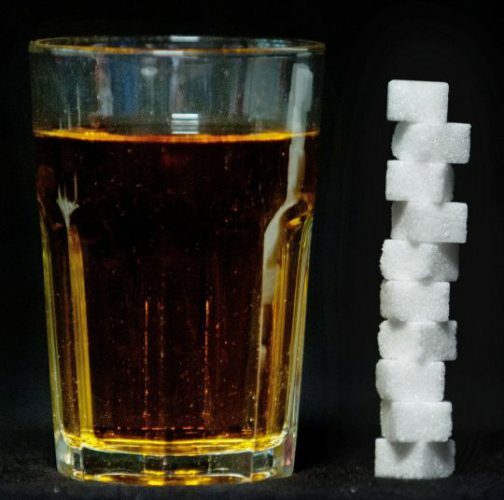 With more than 13 teaspoons of sugar consumed from the beverages every day, he realizes that sugar might not be good for his body after all. His mouth is getting damaged, and it might not be repairable. Images show Royals’ tongue blistering and peeling away. His addiction to energy drinks is literally making his tongue disappear. Because Dan is seeing the results for themselves and wants people to realize how dangerous energy drinks can be for the body – he has snapped disturbing videos of himself and shared them on Facebook – with a dire warning. Dan Royals knows that the energy drinks are eroding the flesh in his mouth. Although he also smokes and admits his addiction to nicotine, he thinks the dramatic disintegration to his tongue is a result of the sugar he drinks. Dan also added that he brushes his teeth and does care for his mouth as any dentist would recommend. But no dentist would recommend drinking six energy drinks or that much sugar on a regular basis – neither would a nutritionist. Researchers at the World Health Organization want people like you and Dan to be aware that energy drinks can be very dangerous to your health. Will, you quit drinking energy drinks?